Heather Kretzer, a health consultant for the Florida Department of Health in Panama City, lives near the water. However, the most recent call for an evacuation in her area wasn’t because of a hurricane but rather because of an active shooter. “You can be asked to evacuate your home for a number of emergencies — often with little warning and limited time to gather your possessions,” she said. No area in the country is immune from disaster and unexpected evacuation, said Jim Judge, emergency management director for Volusia County, Florida, and a member of the American Red Cross Scientific Advisory Council. Threats range from weather concerns and wildfires, to hazardous material spills and police matters. “You need a cool head when there’s little time and potentially critical decisions to make,” he said. “It’s like going camping — all the things you need to take with you,” Judge said. Remember that supplies should last the entire family three days. That includes 1 gallon of water per person per day. Include non-perishable food that requires no water or cooking. Don’t forget plates, silverware and a manual can opener. Protein bars make a good emergency food, Kretzer said. 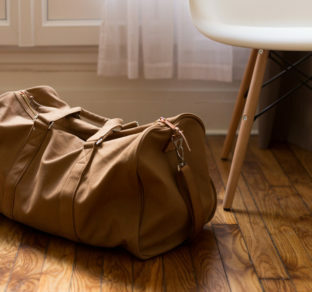 Tip: If you are unable to pack prescription medications, tape a note to the bag reminding you to grab them, or prepare a checklist of last-minute additions that’s kept with the bag. Three days’ worth for every member of your family. Either include copies of birth certificates, IDs, insurance policies and prescriptions in the kit, or save encrypted copies/photos of them on a secure online storage spot. A map with evacuation routes highlighted also will be helpful. Make sure you have cash — preferably smaller bills — in the kit, in case the power is out and you can’t use credit cards and ATMs. Tip: Print out a list of important phone numbers in case you can’t access the contact list in your phone.